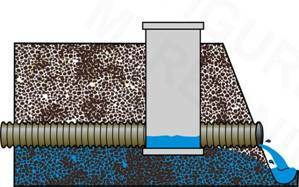 Subsurface tile drainage, which is used to enhance crop yields on naturally poorly-drained soils, is an important component of crop production in the Midwest. 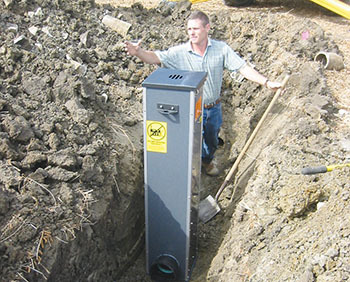 Drainage water management (DWM) has the potential to reduce the impact of climate change on the productivity of agricultural systems by providing opportunities to increase water use efficiency and decrease nitrogen loss through drainage systems. It is estimated that at least 37 percent of the total cropland in the states of Illinois, Indiana, Iowa, Michigan, Minnesota, Missouri, Ohio, and Wisconsin is drained by surface and subsurface drainage (Fausey et al. 1995). 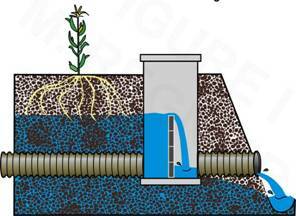 Currently, most of these drainage systems drain water from the fields any time the water table rises above the drain depth. 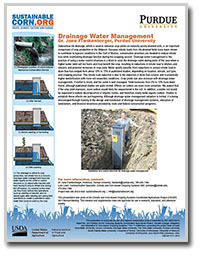 Drainage flow is limited during the off-season to reduce the delivery of nitrate to downstream water bodies. Drainage flow may be limited after planting and spring field operations to create a potential to store water for the crop to use in midsummer. 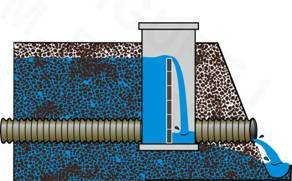 In early spring and fall the drain may be allowed to flow freely before field operations such as planting and harvest. Speed Science: Drainage Water Management Dr. Jane Frankenberger, Professor, Purdue University, discusses drainage water management for corn-based cropping systems. This presentation was made at this project's 2012 Annual Meeting. 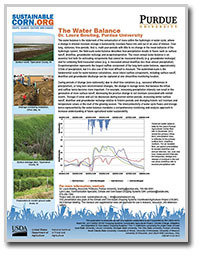 The Water Balance Dr. Laura Bowling, Associate Professor, Purdue University, discusses the importance of understanding, measuring and managing field-scale water balances in response to long-term environmental changes. This presentation was made at this project's 2012 Annual Meeting. Farmers and scientists in the Corn Belt discussing cover crops, weather, tillage, drainage water managment and much more.